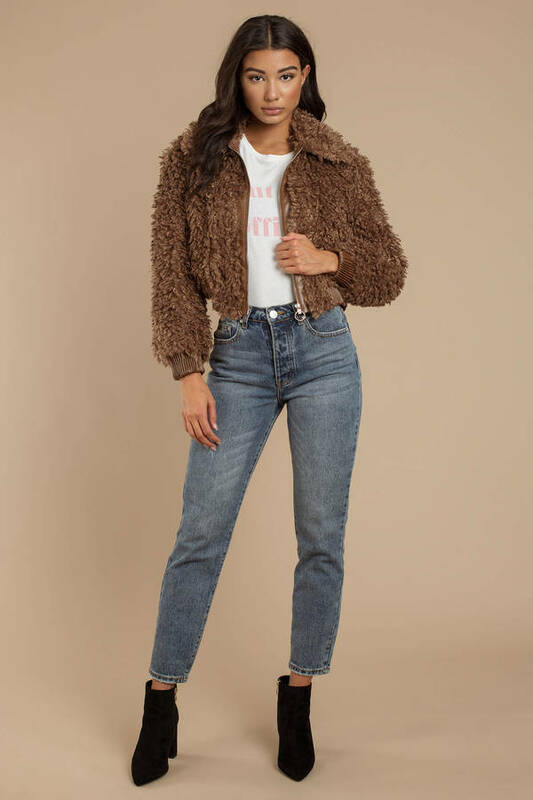 Check out Tobi's Phoenix Faux Fur Jacket ASTR does it again with their vegan fur magic. 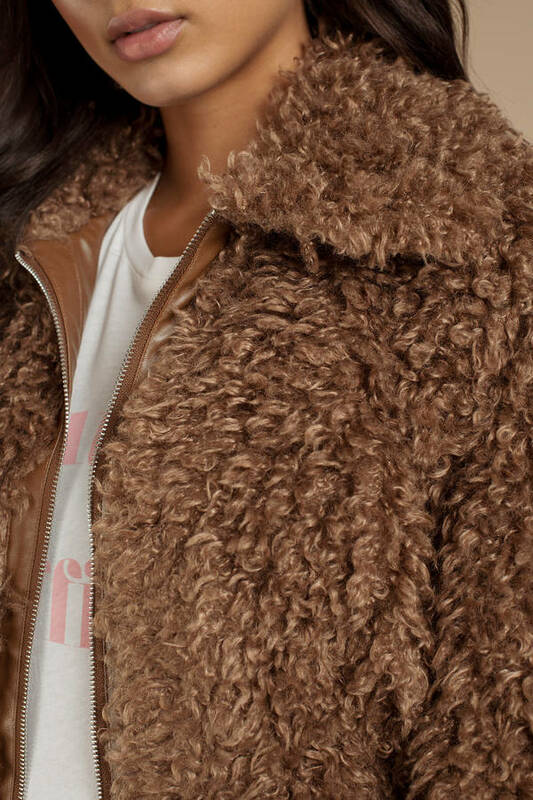 You gotta get the Phoenix Mocha Faux Fur Jacket. This shaggy faux fur coat features a large collar, zipper front, cuffed relaxed sleeves, and a cropped construction. Pair this short faux fur coat with black jeans and booties and take on winter in style. 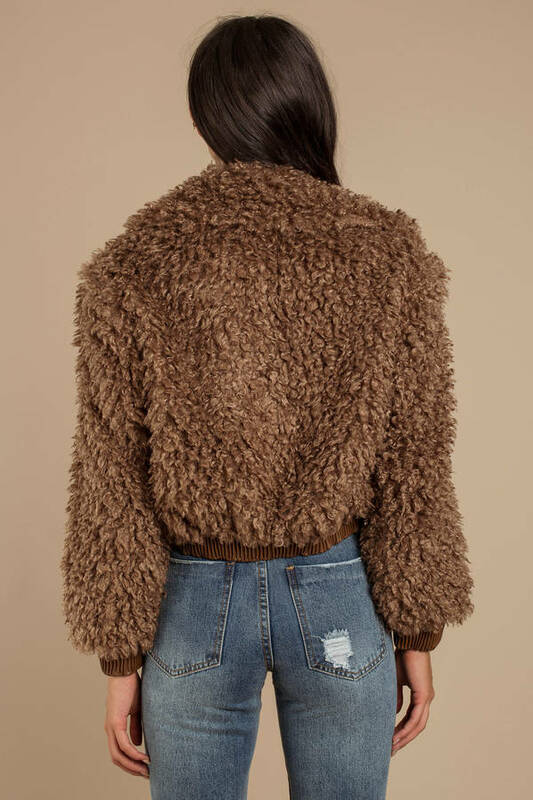 ASTR does it again with their vegan fur magic. 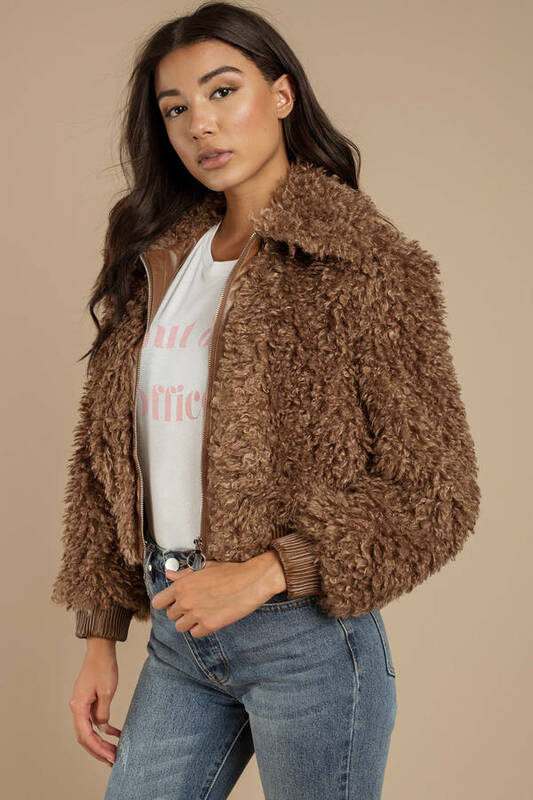 You gotta get the Phoenix Mocha Faux Fur Jacket. This shaggy faux fur coat features a large collar, zipper front, cuffed relaxed sleeves, and a cropped construction. Pair this short faux fur coat with black jeans and booties and take on winter in style.